You will save lots of calories by choosing to bake your "fried" chicken rather than frying it. Here's how to do it. Chicken breasts with or without the bone will work well with this recipe. It is important to remember to remove the skin if you happen to purchase chicken breasts which still have the skin intact. This will also be a good time to preheat the oven to 375°F. 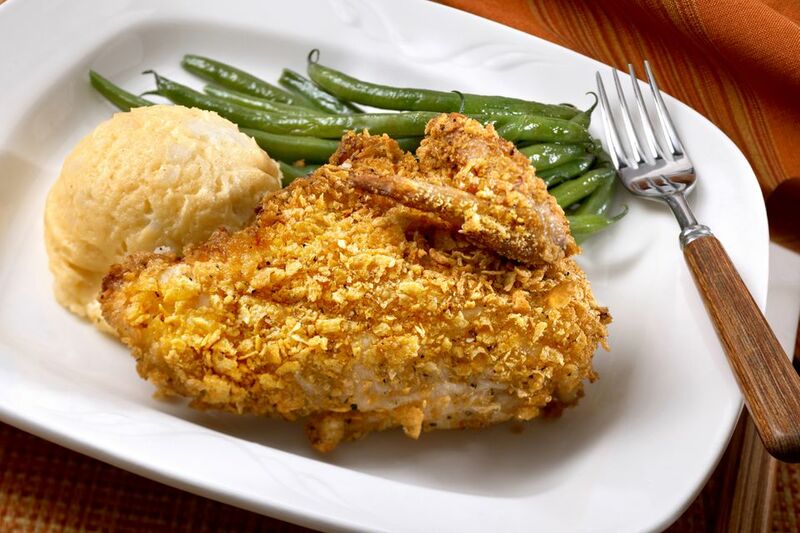 The crispiness of the oven fried chicken comes from using crushed cornflakes as the outside coating. The easiest way to crush the cornflakes is to place them in a large ziplock baggie. Then, use a rolling pin (or a tall cup/glass), and roll it across the baggie several times, crushing the cornflakes until they are finely crushed. You may leave a few slightly larger flakes, as this will help to add texture to the coating. Have a small bowl in front of you. Crack one egg near the middle of the shell. Break the shell in two halves over the small bowl. Allow the egg white to fall into the bowl while keeping the egg yolk in one half of the shell (which you can freeze for another use later). Empty any egg white, from the half of the shell that does not contain the egg yolk, into the small bowl. Transfer the egg yolk into the empty shell, being careful to transfer only the yolk. Allow any egg white to fall into the bowl. Continue transferring the yolk back and forth between the two eggshell halves until all of the egg white has fallen into the bowl. Whisk the egg whites in the bowl, and set aside. Next, you will want to have all the ingredients in place to coat the oven fried chicken. Place the flour and the black pepper in a shallow dish, and stir with a fork until well mixed. Place the egg whites, flour mixture, and cornflakes near one another on your workspace (keeping them each in separate dishes, of course!) so that you can easily transfer the chicken breasts among each of the coatings. Dredge the chicken in the coatings. First, dredge the chicken in the flour mixture, then move on to the egg white, and finally, dredge in the crushed cornflakes, making sure to cover the entire surface area of the chicken. Repeat with remaining chicken breasts, and place on a baking sheet coated with cooking spray. Finally, you are ready to bake the oven fried chicken. Place the chicken, on the baking pan, into the oven at 375 F, and bake for 35 to 40 minutes. You will want to make sure that there is no longer any pink in the chicken to assure that it is fully cooked. 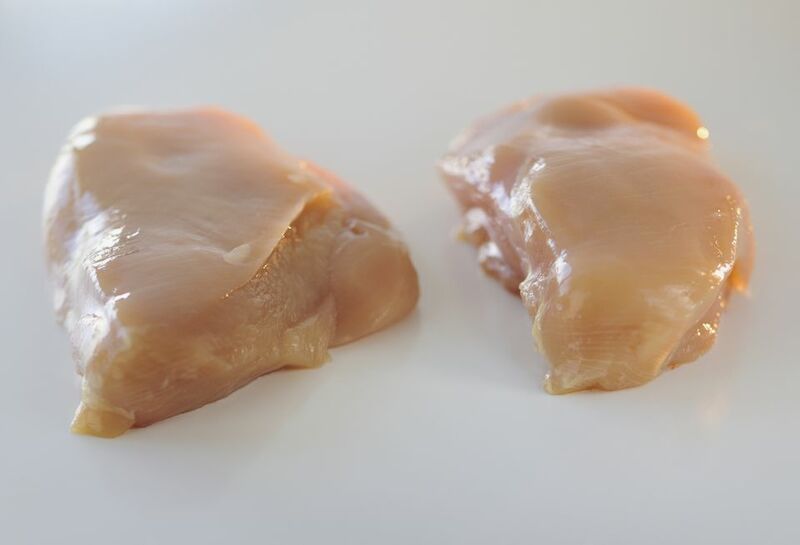 You can test the chicken by making a small cut into the thickest part of the chicken breast, and checking to see that it is no longer pink. You are now ready to enjoy your delicious oven fried chicken.